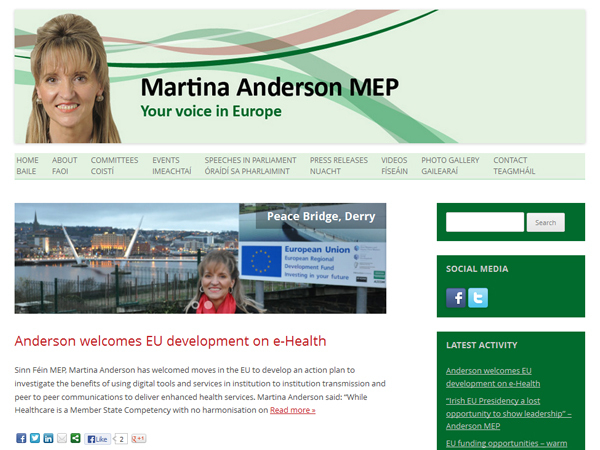 Website for Member of the European Parliament, Martina Anderson. Mobile phone friendly with social sharing, photo gallery, video uploads and other features. Visit the site here: http://martinamep.eu (opens in new window). It has changed a great deal since I created it, so the screenshot above represents my own work.